Resume is a way to endorse a person capabilities and abilities. It is a way to convince the interview panel that you have all the qualities they are seeking for. It is a way to project your assertive image! It presents you in front of the hiring panel showcasing your best. It is wrongly mistaken among people that resume is a history of past. It is neither personal statement nor a piece of paper expressing one-self. To make your favorable and influential impression, resume you submitted has to pass through the employer’s screening process. Effective resume aids in establishing person’s professional personality with high standards and excellent writing skills. There writing resume effectively such that it leaves an impact has become the necessity. Main objective of Resume should be to get focus on your job objective before writing the rest of the resume and tailor the resume to the job and the field. You should clearly state the position you are seeking and whether it is a full-time or part-time job or an internship. You can also include the industry and any skills you want to emphasize. It is vital to clarify your interests and extra-curricular, qualification and strength. The direction you want to pursue must be clearly visible in your resume. You cannot make resume based on random turning of wheels! You have to be sure of career path. 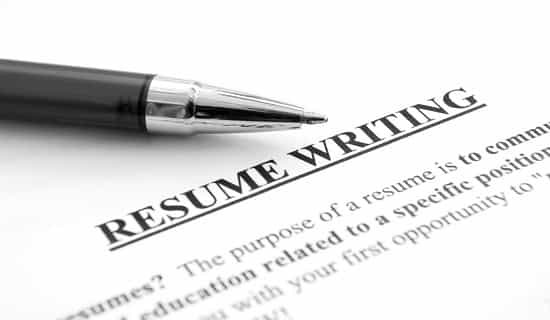 Resume should not be written just for the sake of grabbing a job. One should be patient enough to spend the time behind it and not just finish it like shopping spree. It should not be written with some grudge or to fulfill some obligation. The profit of writing effective resume is that it catches the readers attention quickly and keeps the person engaged in reading your resume , which in turn helps to fetch dream job fast. Attaching small passport size photo along with precise summary at the beginning can be effective. Do not include everything in the resume; it would make it look like hotchpotch! Replacing objective with the career summary will give the healthy response. List employment and educational history and some volunteer or training experience! Leave some point to be discussed at the interview. The recipe to wining path has to showcase ingredients like Qualifications, Experience, Achievements, Capabilities and Qualities in your resume. It is recommend to setup page according to the mentioned dimensions keeping margins wide, cleaning type and create clear headings. List your own unique accomplishments and prior to that include detail job description. Avoid using generic job description. Be positive throughout. Use of bullets at every point will enhance reading, points included should be worthy of reading. Focus to keep writing error free, grammatically-correct, clean, concise and crisp. Proper use of white-space will ease it grabbing the faster attention. Resume should help in increasing your network which can later recommend you for better and higher positions. Criteria here is to identify what to include, what not to, what to highlight, what to de-emphasize. Repeating same thing again in different manner to fill the pages is annoying! Bottom line is to impress and enforce the HR co-coordinator to not just open your resume and view but healthy spend time behind it reviewing it and give an affirmative response.